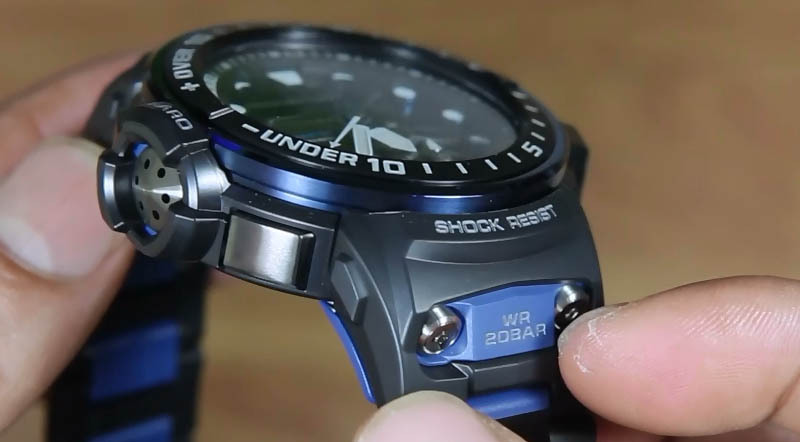 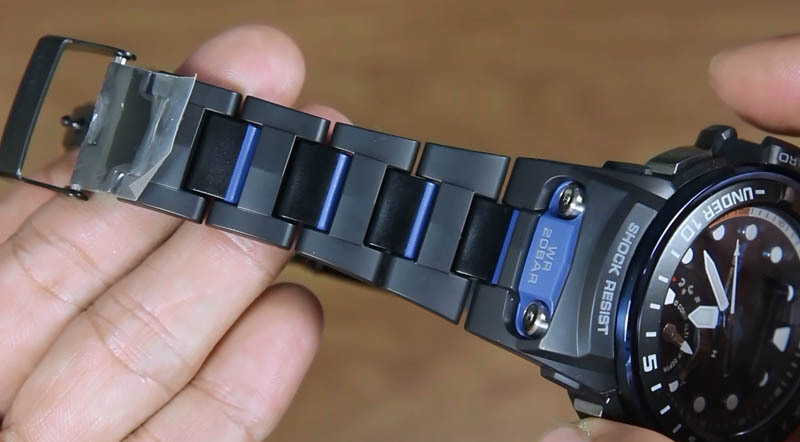 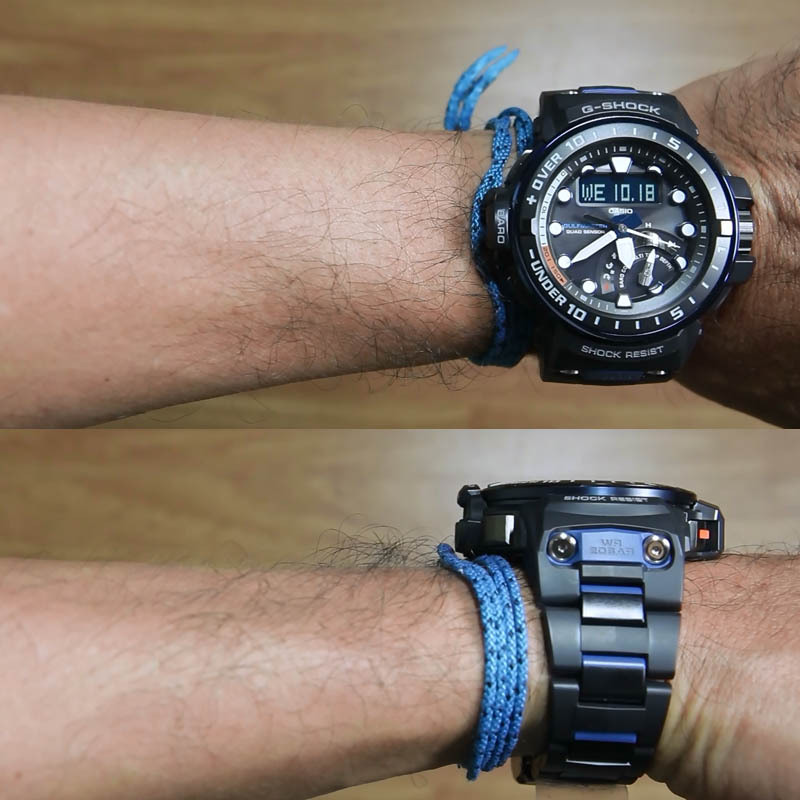 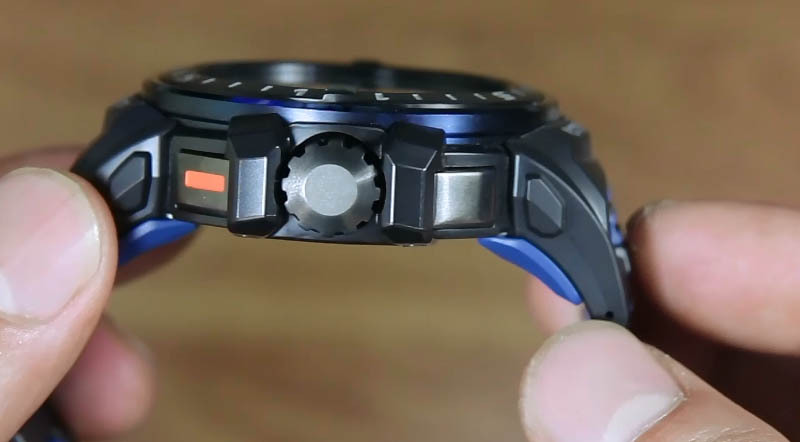 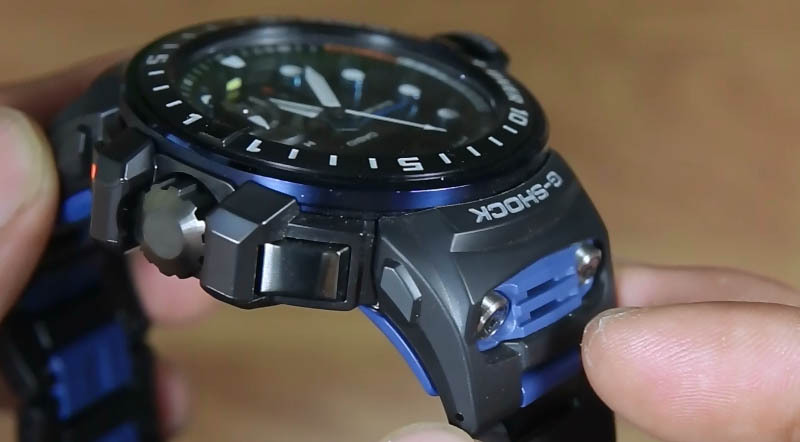 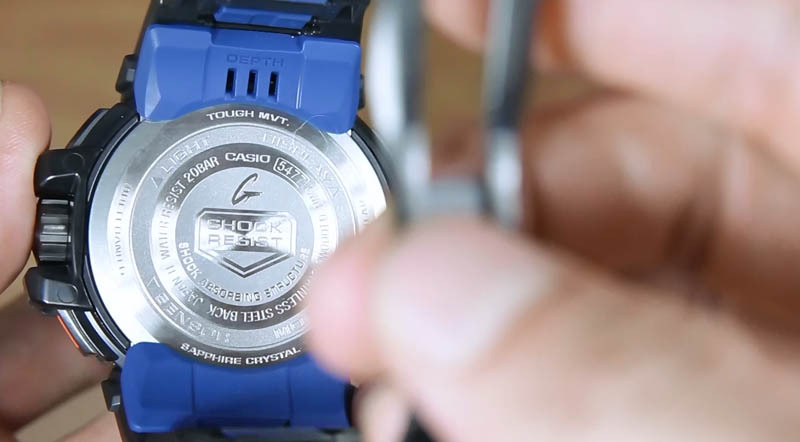 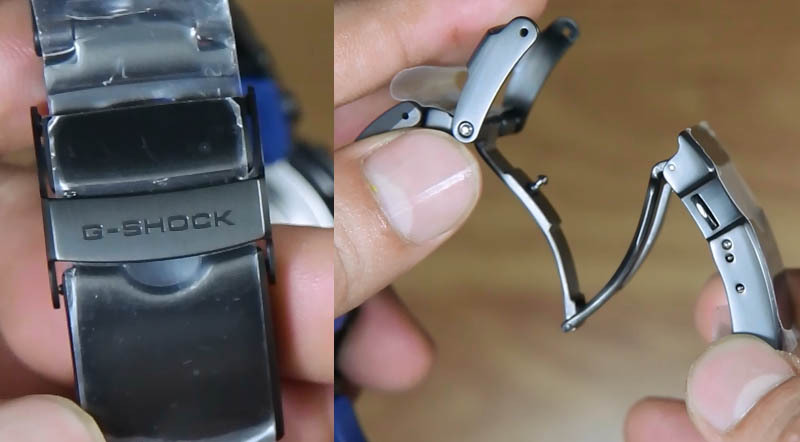 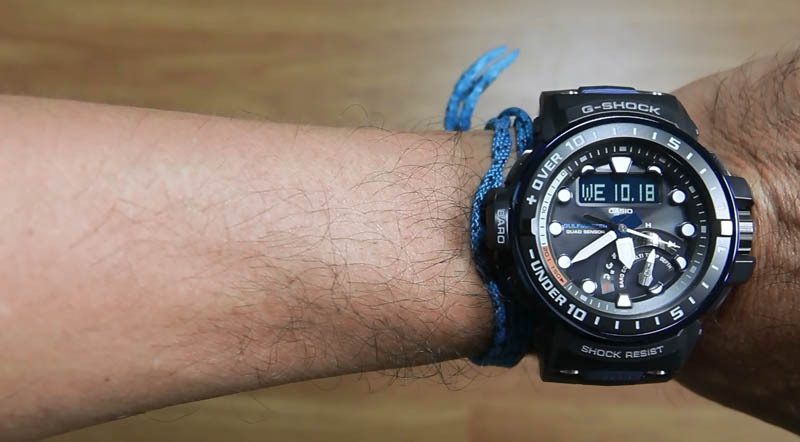 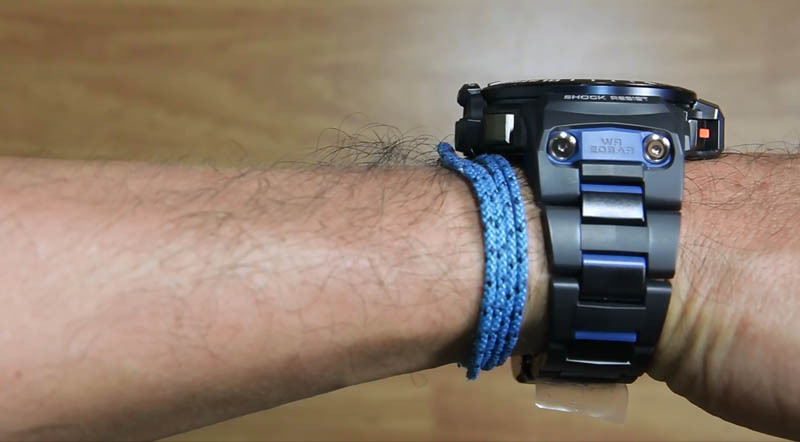 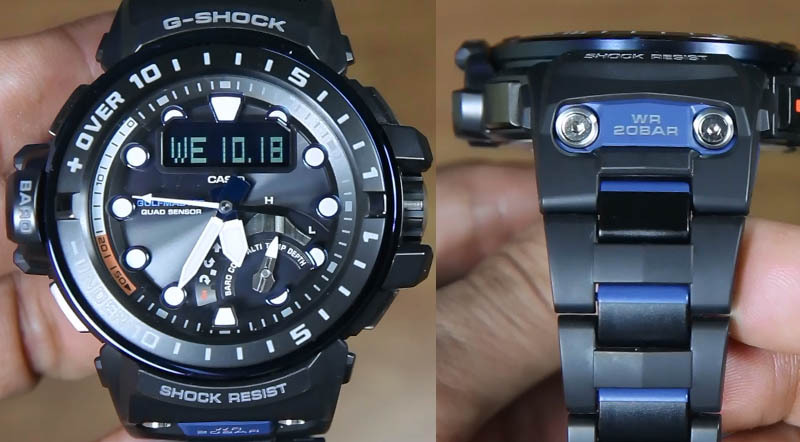 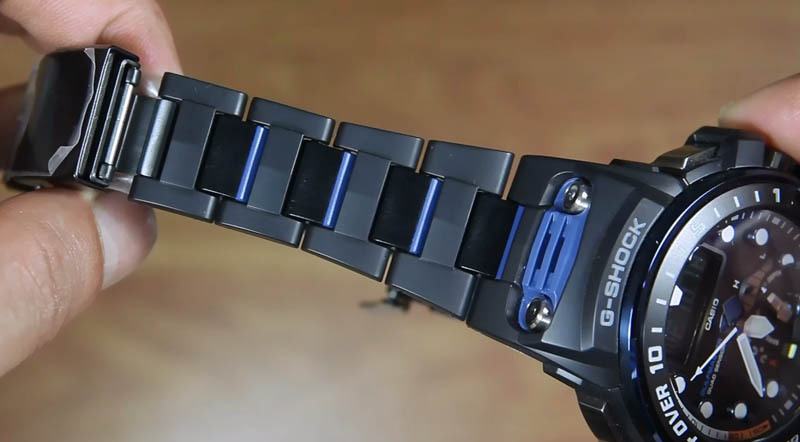 GULFMASTER includes the first G-SHOCK models to incorporate both Triple Sensor Version 3 and Smart Access in the same watch. 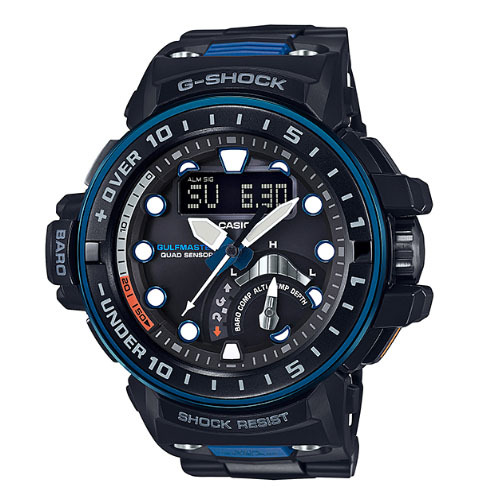 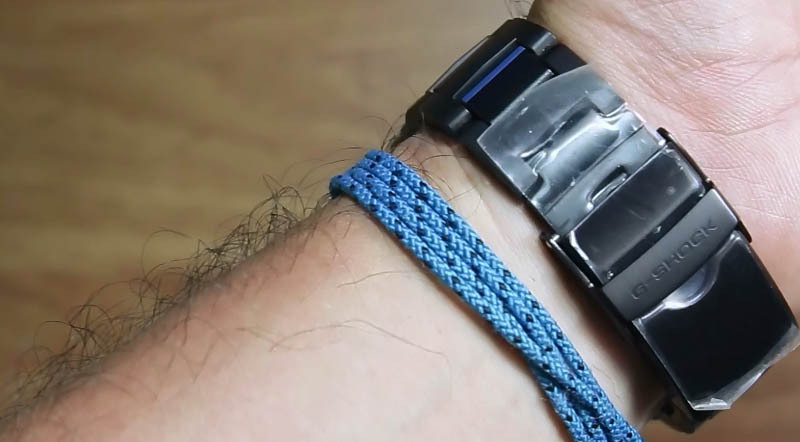 In addition to barometric pressure, altitude, bearing, and temperature readings, these new models also feature Tide Graph and Moon Age capabilities to help keep you in close touch with your natural environment. 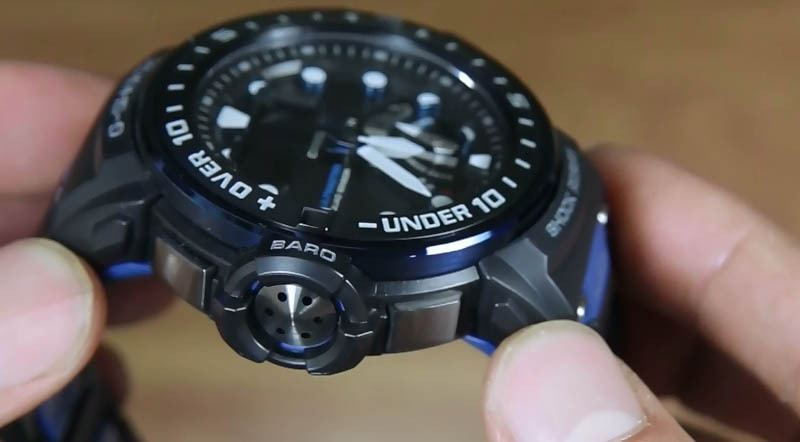 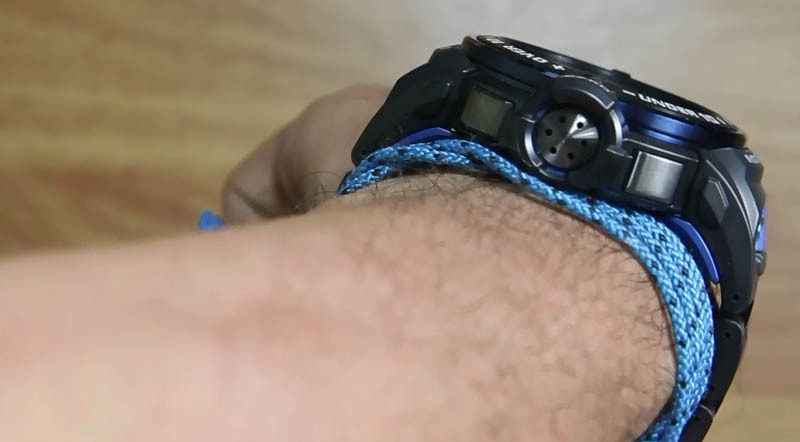 Sudden extreme change in barometric pressure are alerted using a dial hand, LCD display, and alarm. 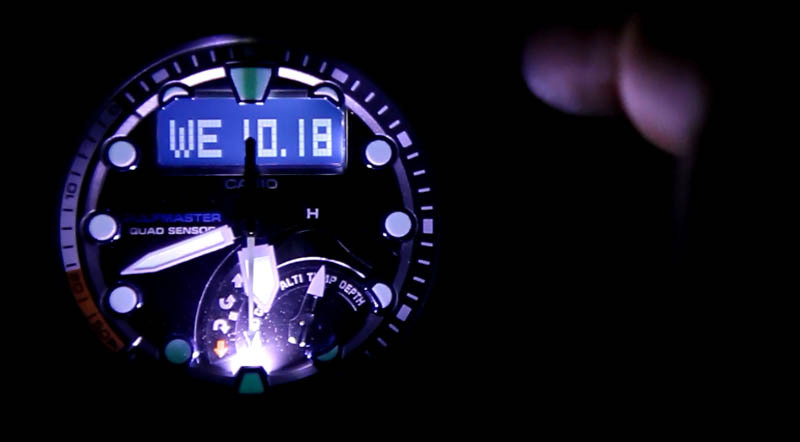 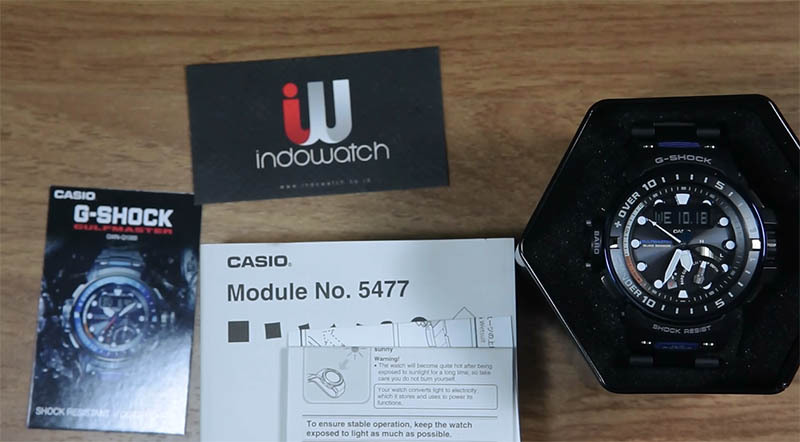 Dual LED lighting illuminates the LCD, and also adds a face light at 6 o’clock to keep information bright and easy to read even in total darkness.